This Rothco M65 Field Jacket are a classic piece of military outerwear. 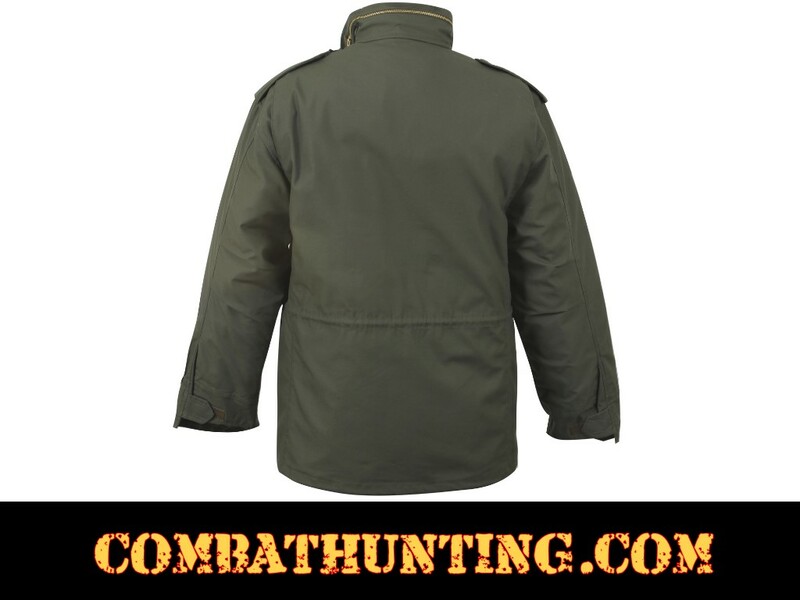 The M65 Field Jacket features a water repellent poly cotton twill with four snap-up pockets and concealed hood with epaulets, waist hood and bottom drawstrings, removable button-in liner, hook & loop fastener cuffs for attachment to gloves and heavy brass zipper & snap up storm flaps. 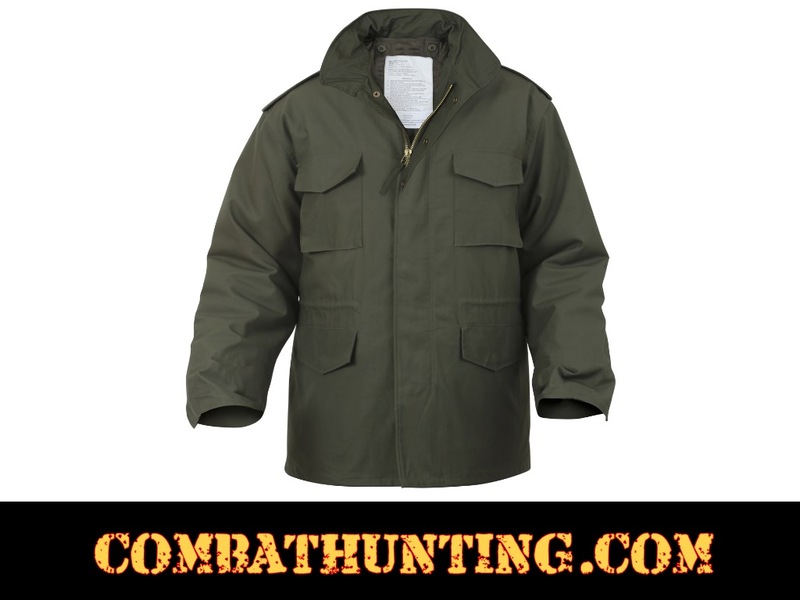 The M-65 Jacket is available in over 8 colors including woodland camo, ACU digital camo, Black, O.D and more. Colors and sizes ranging from XS to 8XL.